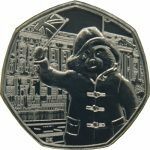 The 50p coin was introduced in 1969 to replace the Bank of England 10 Shilling note. 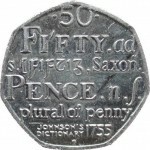 It was one of only three decimal coins to have been made and circulated before decimalisation took place fully in 1971. A huge number of different reverse designs have been used on the 50p coin over the years, sporadically at first and increasingly over recent years, with a whopping 29 different designs issued for the London 2012 Olympics. 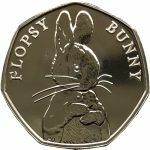 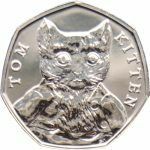 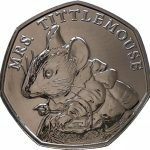 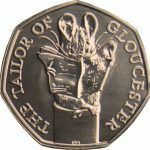 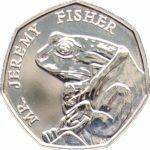 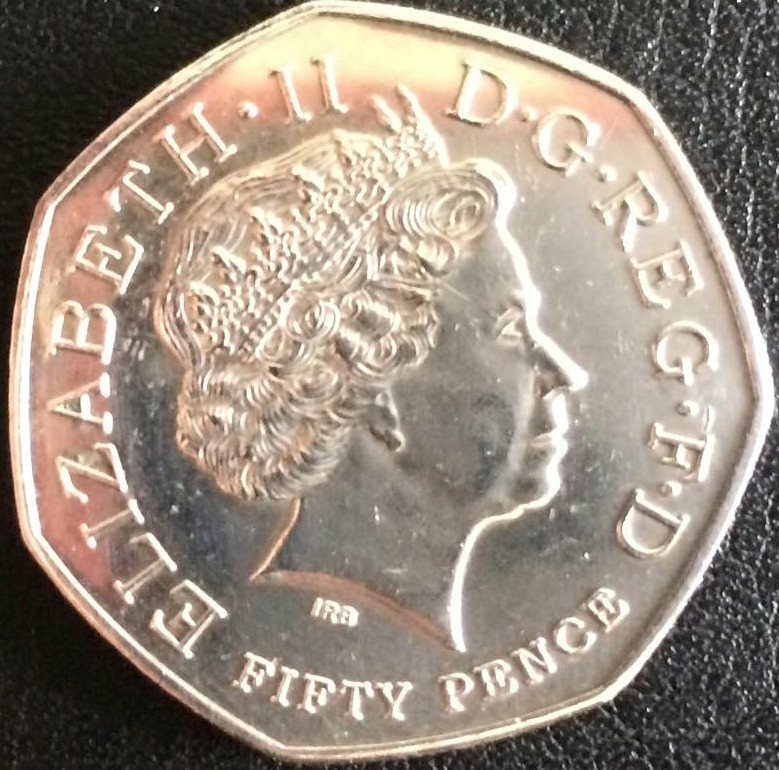 As of June 2018 there are 89 different 50p coins potentially in circulation (10 of those were not actually issued for circulation or have not yet been released). 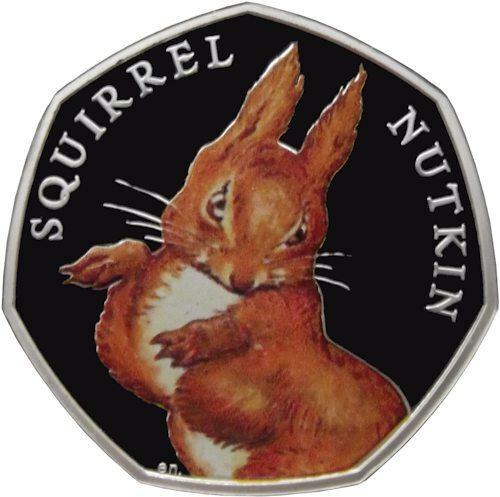 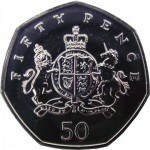 Only 50p coins of the smaller format, dated 1997 to date are in circulation. 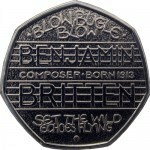 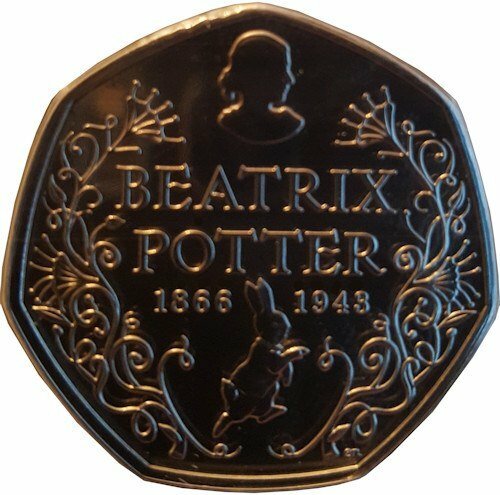 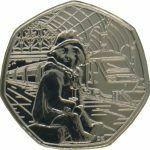 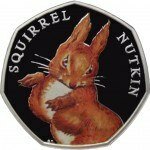 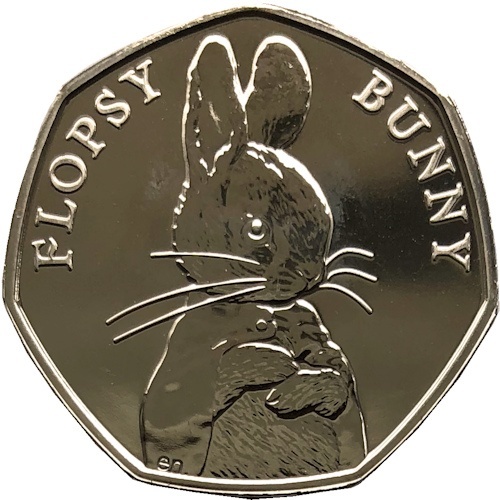 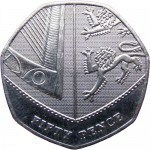 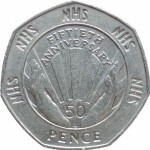 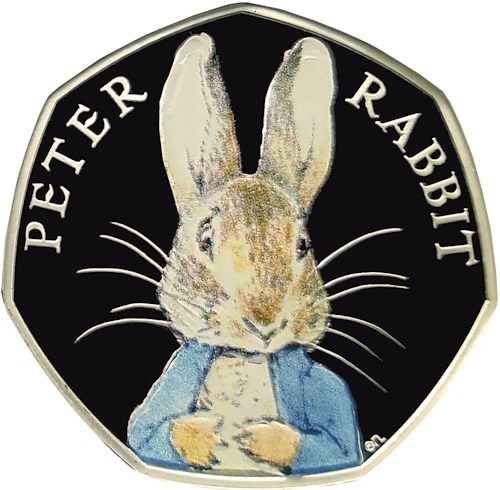 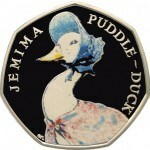 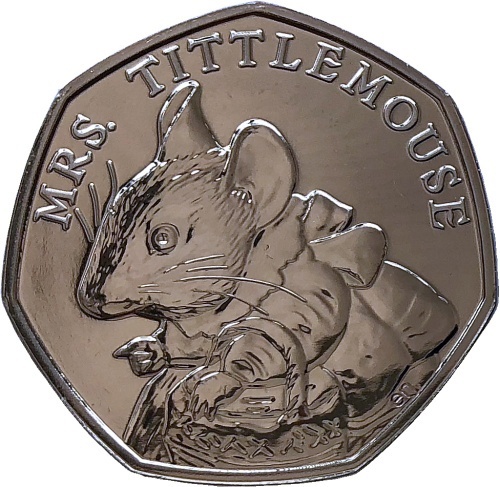 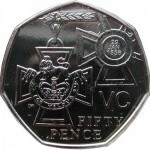 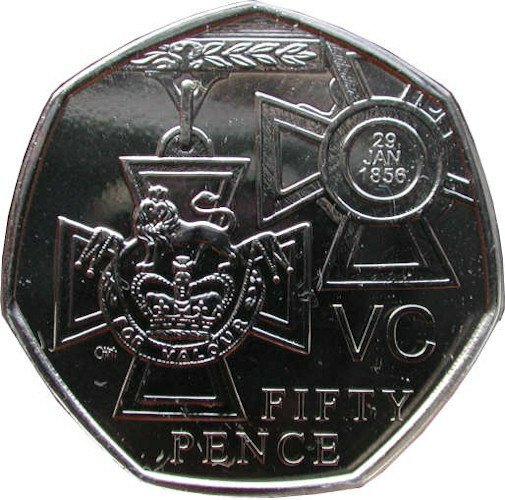 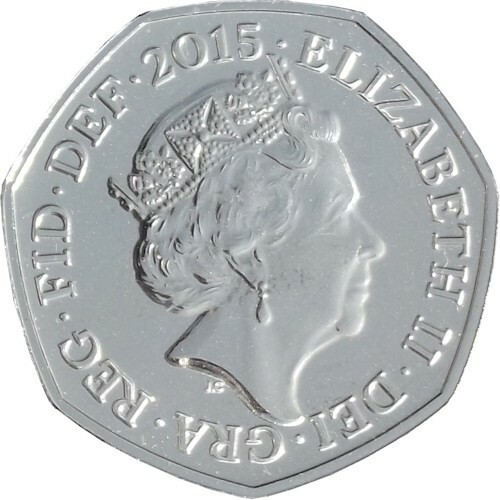 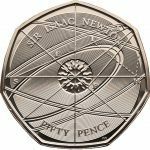 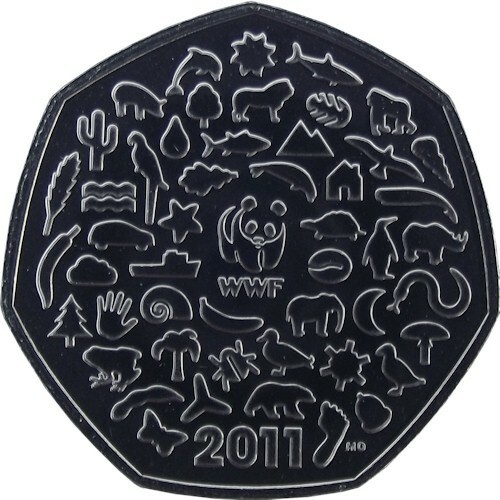 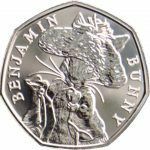 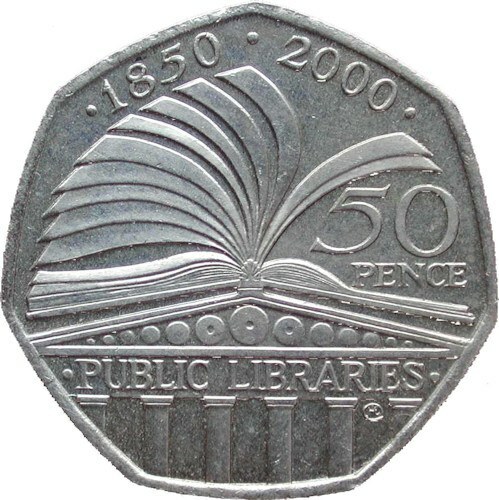 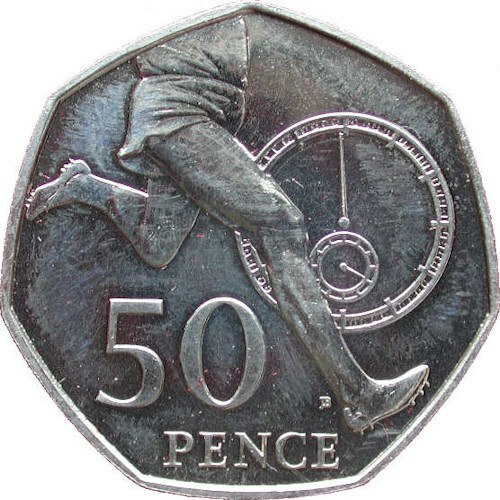 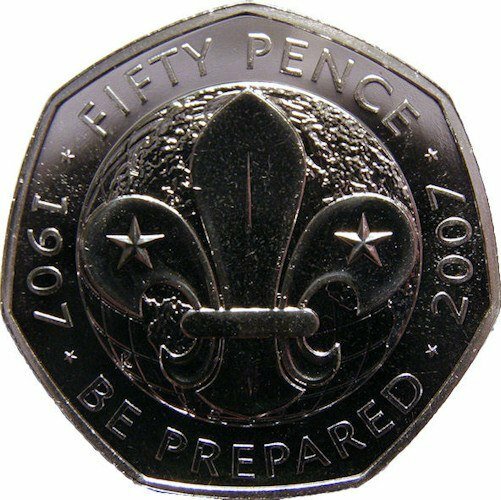 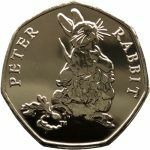 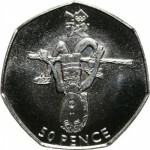 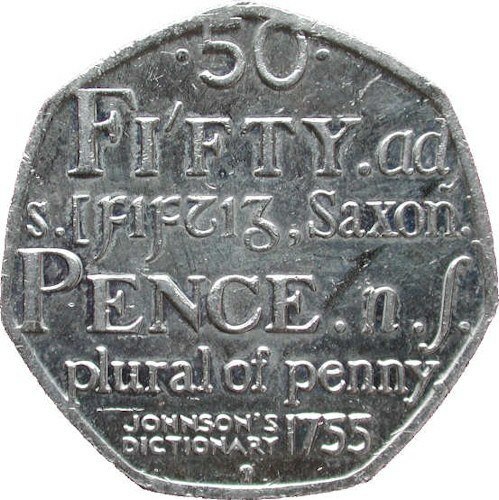 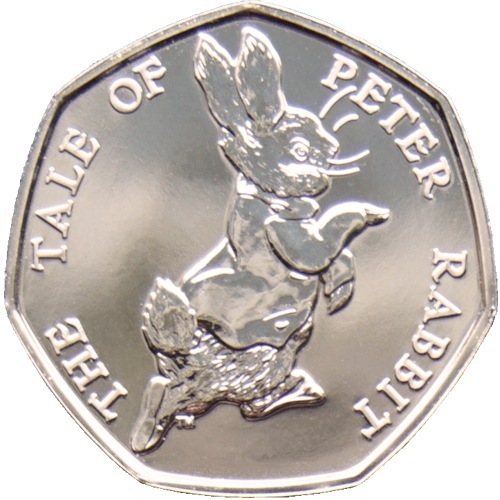 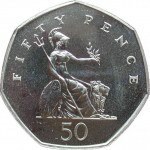 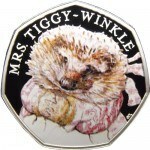 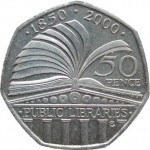 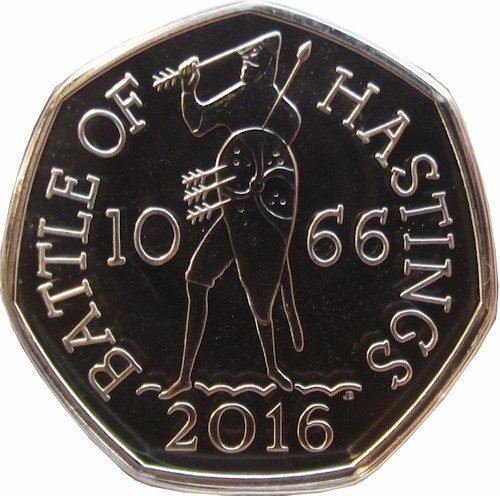 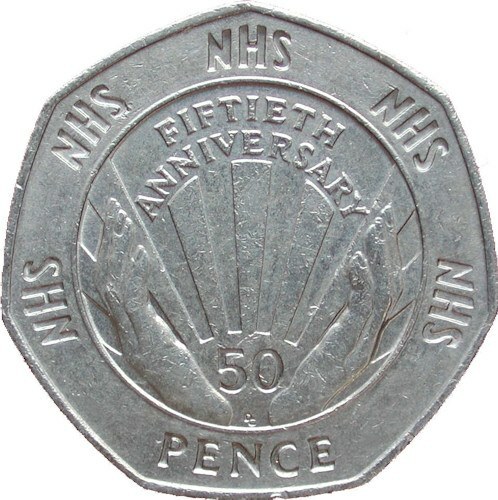 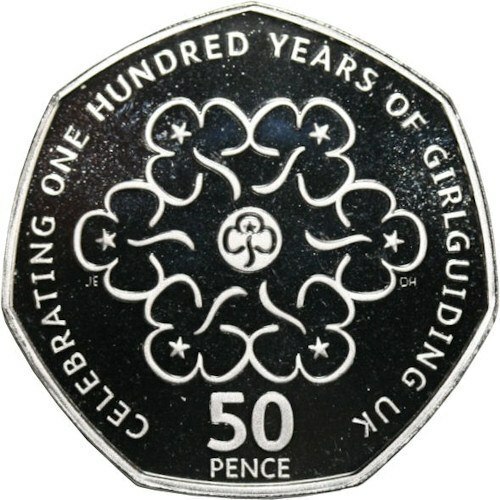 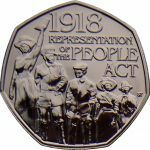 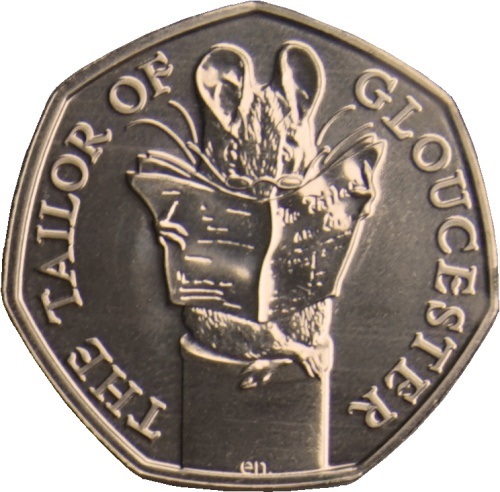 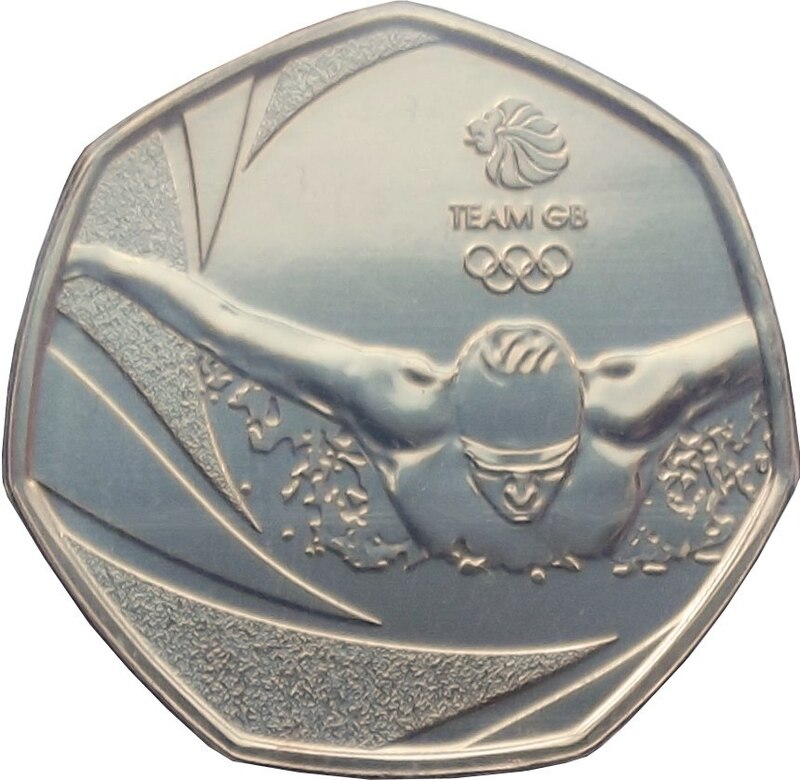 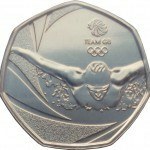 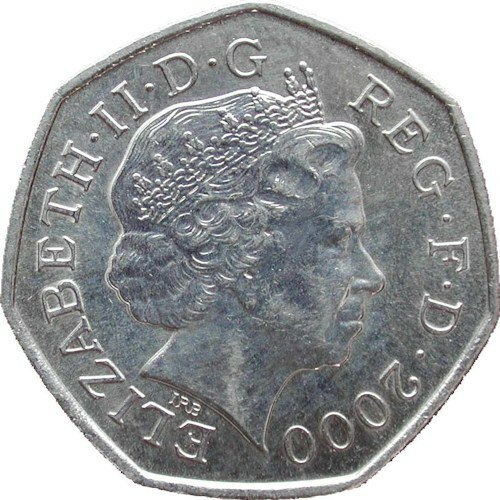 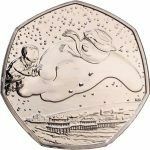 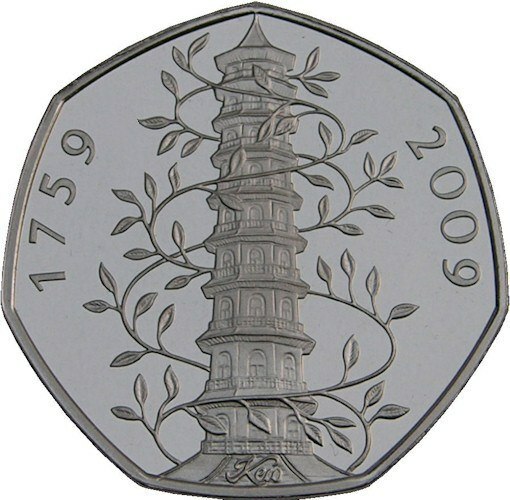 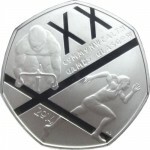 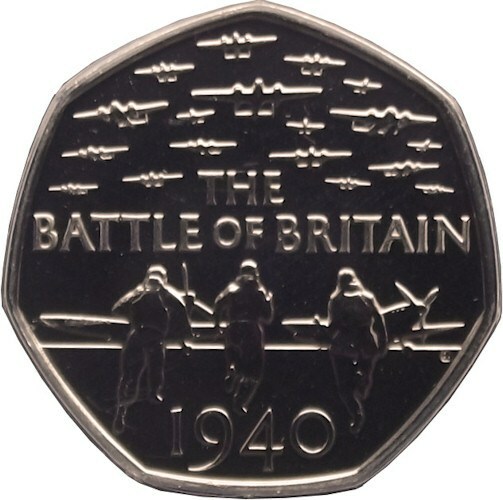 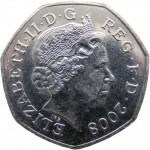 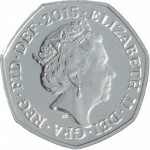 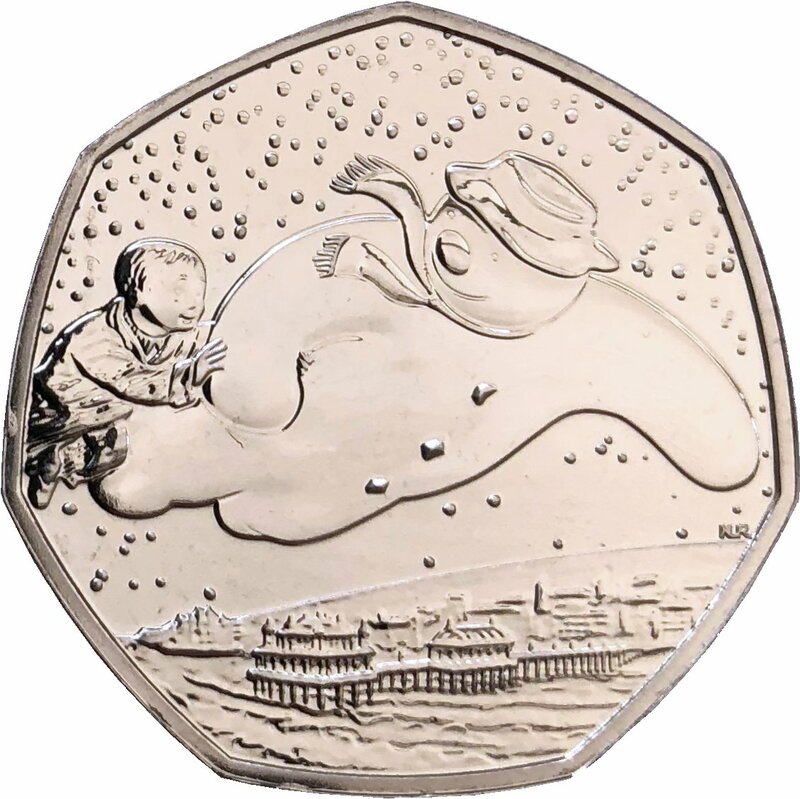 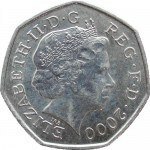 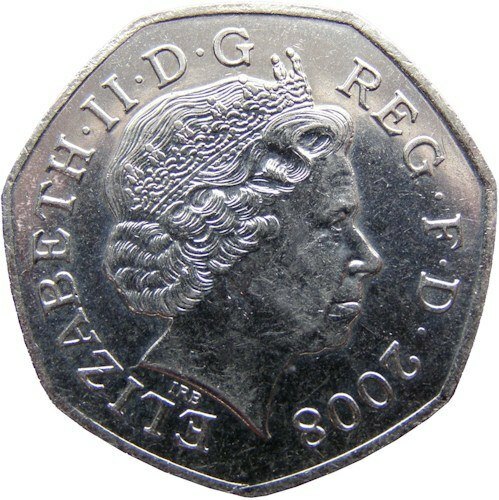 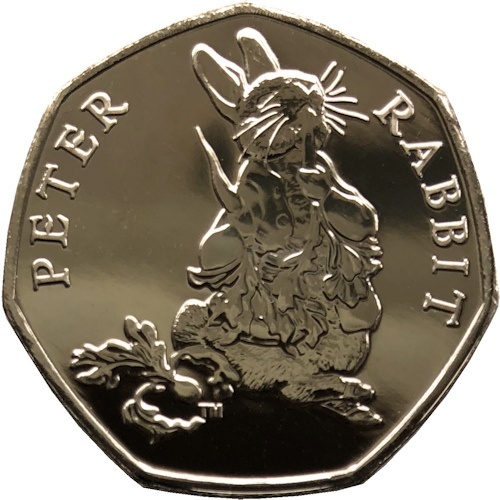 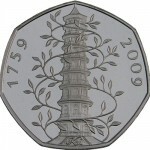 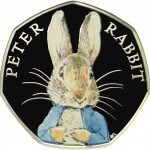 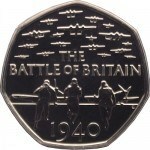 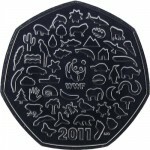 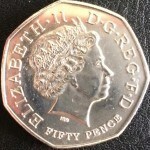 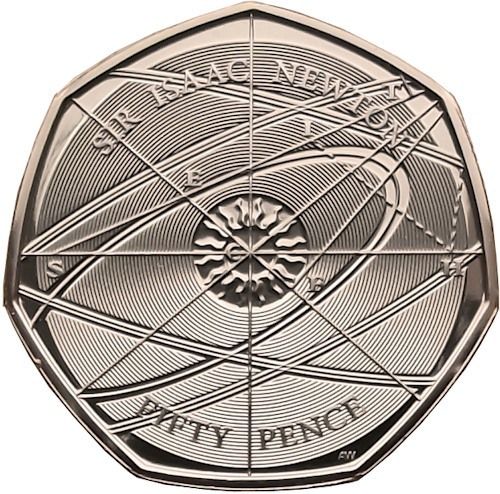 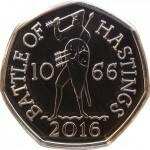 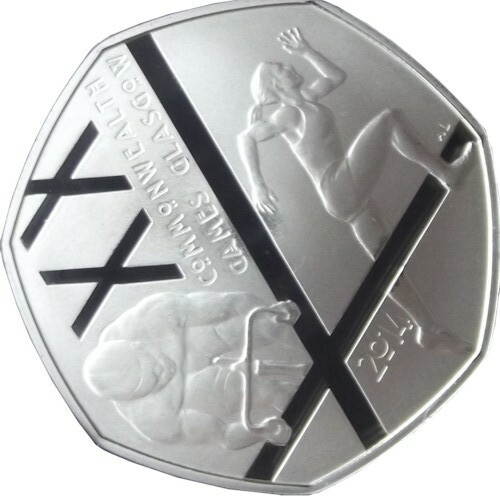 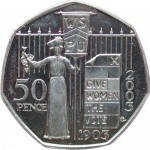 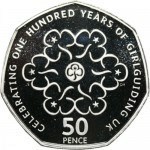 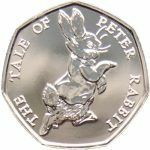 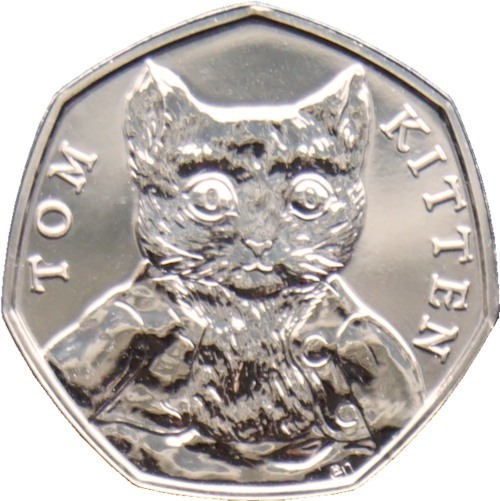 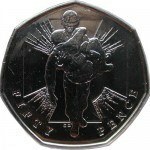 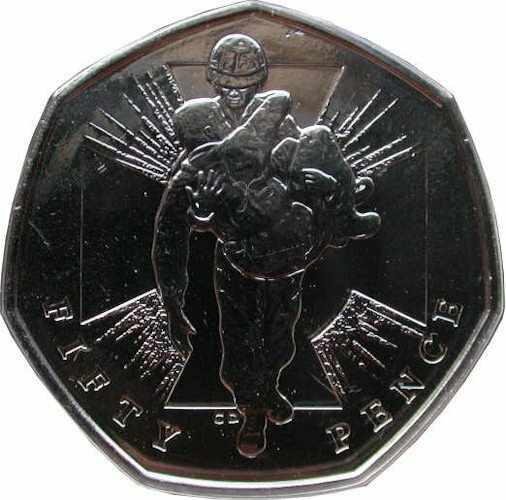 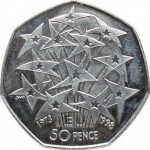 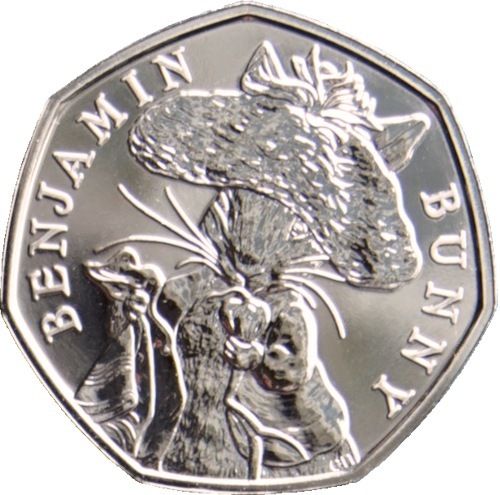 Specifications of the current 50p coin are shown at the bottom of this page. 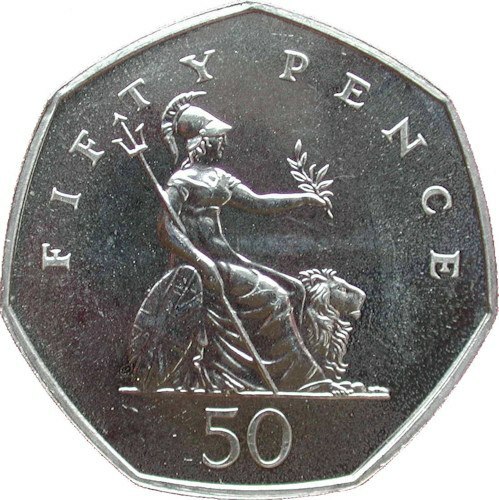 1997 (1 coin – standard Britannia reverse), 1998 (3 coins – Britannia reverse, EU and NHS), 1999 (1 coin – Britannia reverse), 2000 (2 coins – Britannia and Libraries), 2001 (1 coin – Britannia reverse), 2002 (1 coin – Britannia reverse), 2003 (2 coins – Britannia reverse and ‘votes for women’), 2004 (2 coins – Britannia reverse and 4 minute mile), 2005 (2 coins – Britannia reverse and Johnson’s Dictionary), 2006 (3 coins – Britannia reverse, Victoria Cross award x2), 2007 (2 coins – Britannia reverse and Scouting), 2008 (2 coins – Britannia reverse and new Shield coin), 2009 (3 coins – Shield reverse, Kew Gardens, Blue Peter High Jumper), 2009 Fake Kew Gardens 50p!, 2010 (2 coins – Shield reverse and Girl Guides), 2011 – Non Olympic coins (2 coins – Shield reverse and WWF), 2011 – The 29 London Olympics coins (29 coins plus 1 medallion), 2012 (1 coin – Shield reverse), 2013 (3 coins – Shield reverse, Ironside proposed design and Benjamin Britten), 2014 (2 coins – Shield reverse and Glasgow games), 2015 (4 coins – Shield reverse and Battle of Britain both with 4th or 5th portrait), 2016 (7 coins – Shield reverse, 1066 Hastings, Team GB Rio and 5x Beatrix Potter), 2017 (6 coins so far – Shield reverse, Sir Isaac Newton and 4 different Potter coins), 2018 (9 so far – Shield reverse, Sir Isaac Newton again, the Representation of the people, 4 more Beatrix Potters and so far two for Paddington bear).